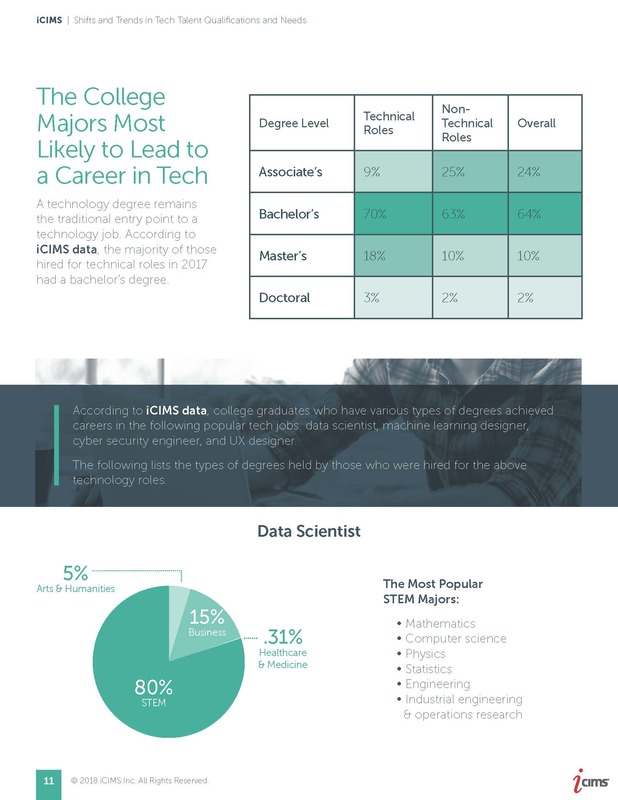 Technology companies are often regarded as highly desirable workplaces, known for positive work cultures and often offering unique perks to attract and retain top employees. 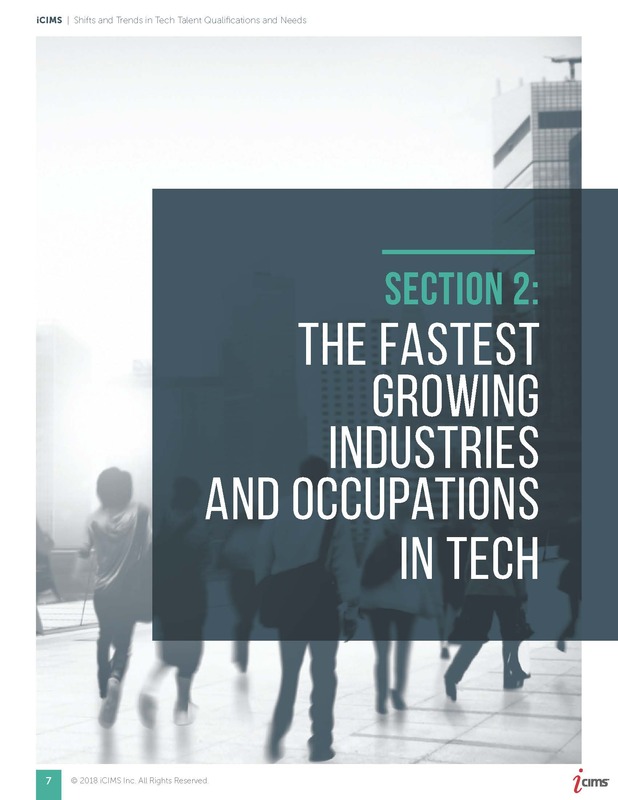 According to the Bureau of Labor Statistics, employment of computer and information technology occupations is projected to grow 13 percent from 2016 to 2026, faster than the average for all occupations. 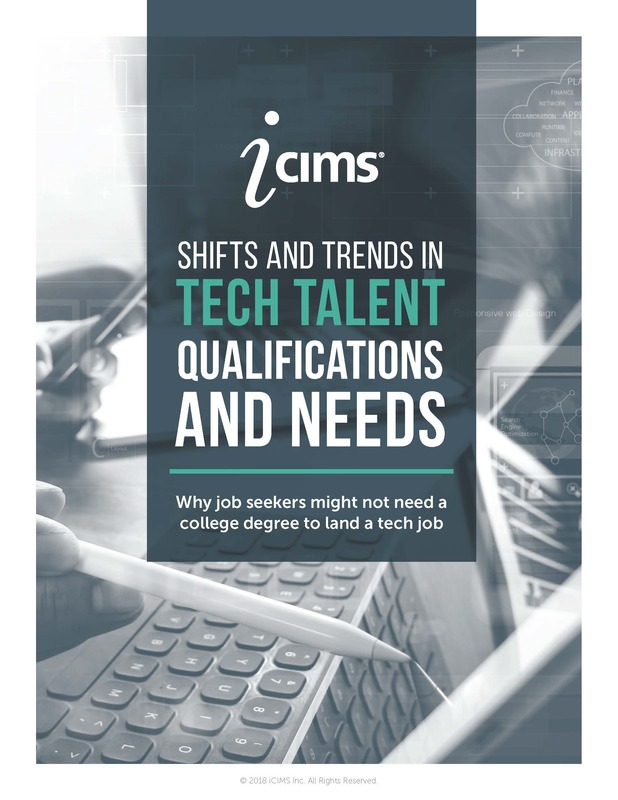 Because this industry is growing so rapidly, employers are finding an increased skills shortage and less available talent, forcing them to think creatively about where to find candidates and how training can help bridge the gap. 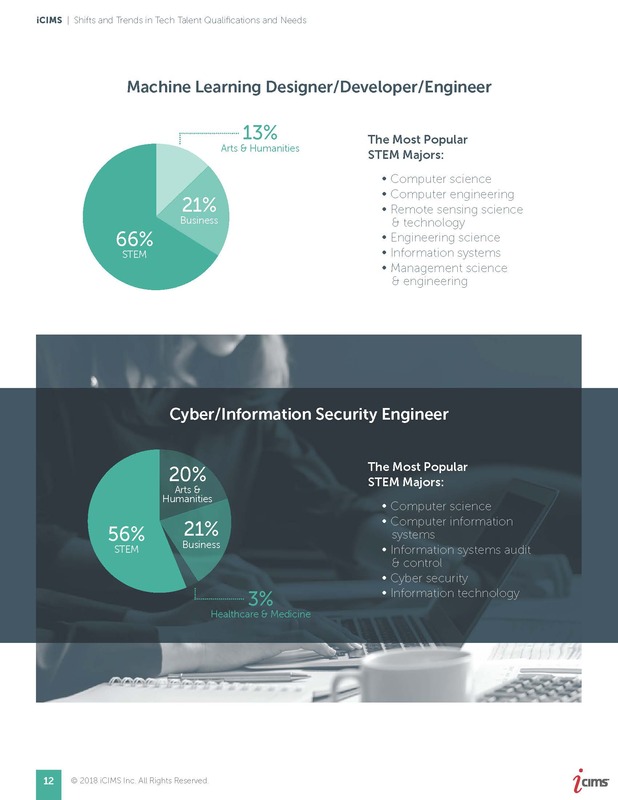 So, how can job seekers break into this fast-growing industry? 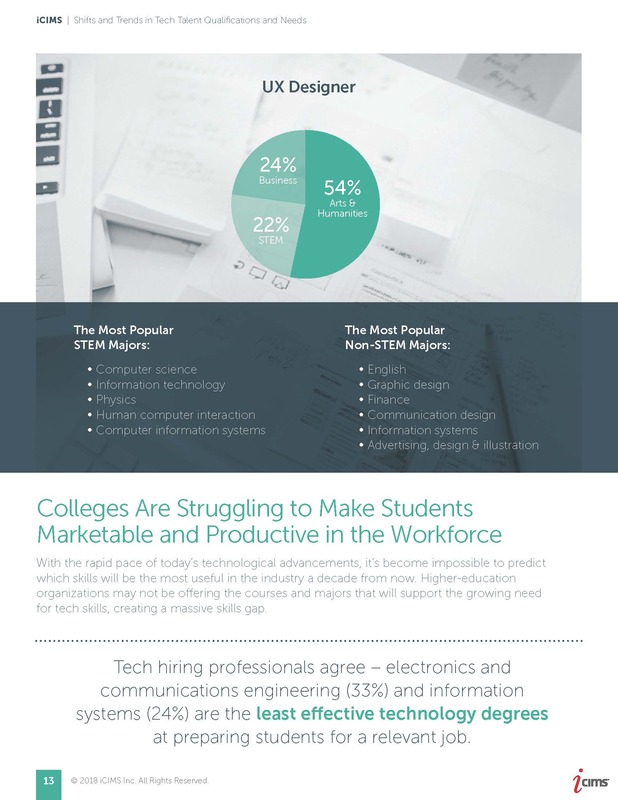 Are technology employers excluding people who have the right skills but no degree or an unrelated degree? 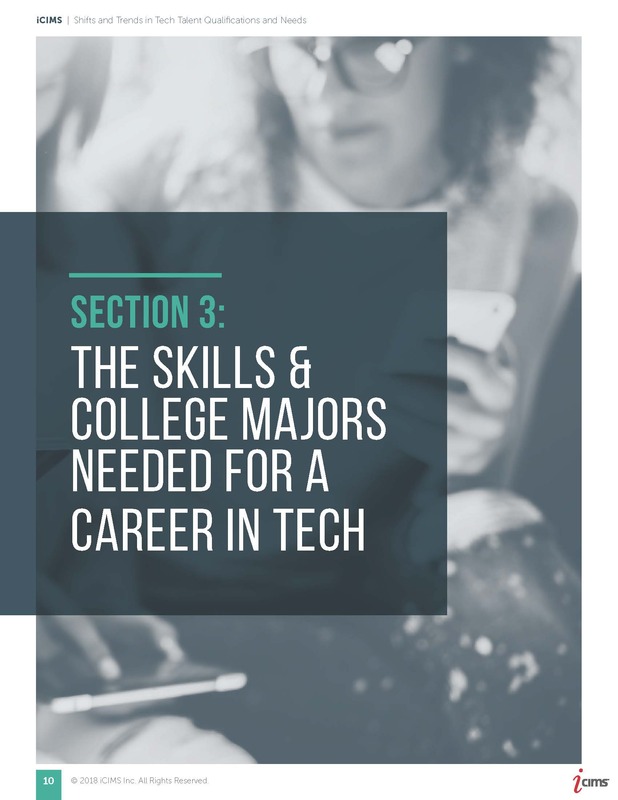 This report explores the hiring needs and challenges in the tech industry and identifies the industries and occupations that are seeing the most growth and the skills that applicants need to land a job. 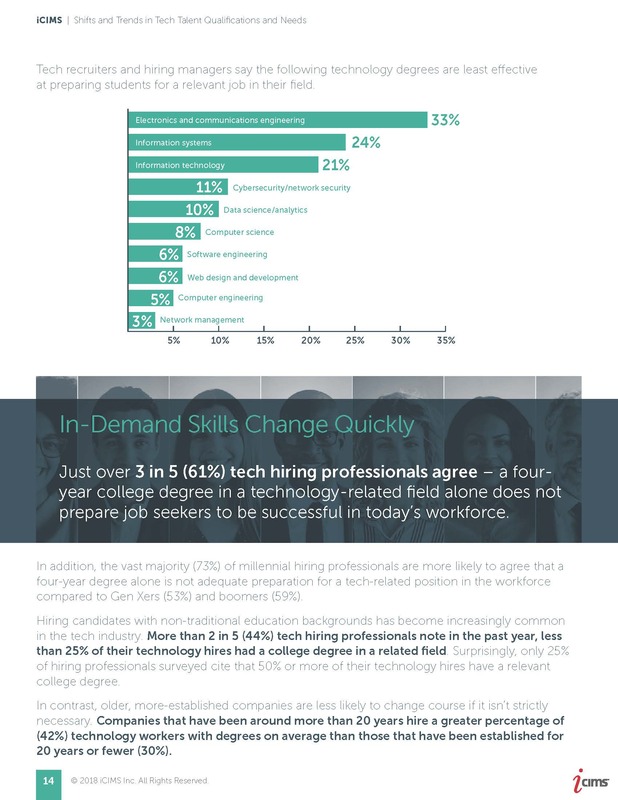 Nearly half (49 percent) of tech hiring professionals find it more difficult to fill skilled technology positions than they did two years ago because of a shortage of applicants who have the right skills or experience. 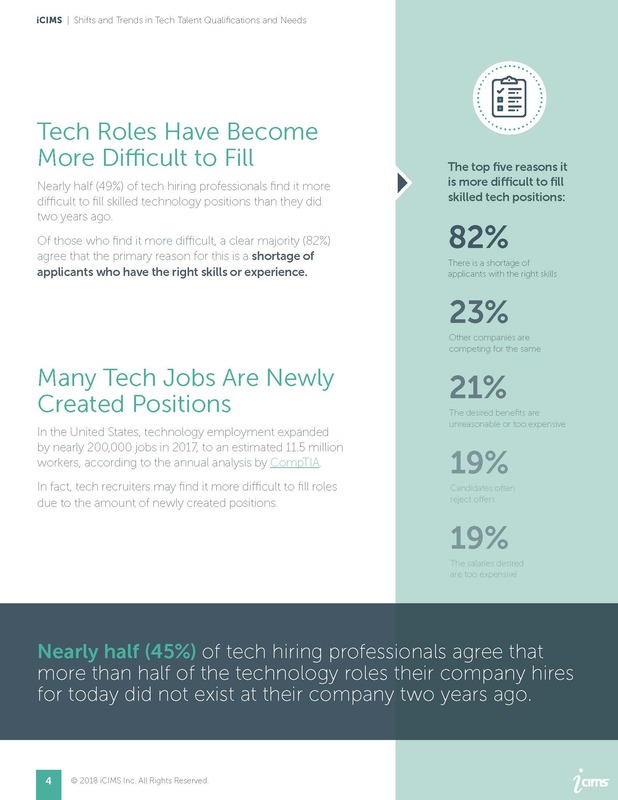 Many tech jobs are newly created positions. 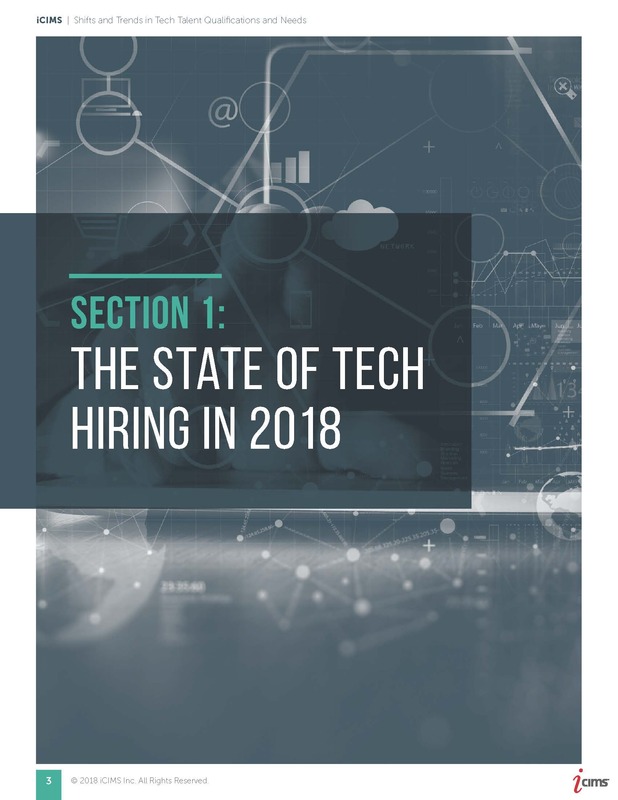 In fact, 45 percent of tech hiring professionals state more than half of the technology roles their company hires for today did not exist two years ago. 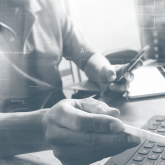 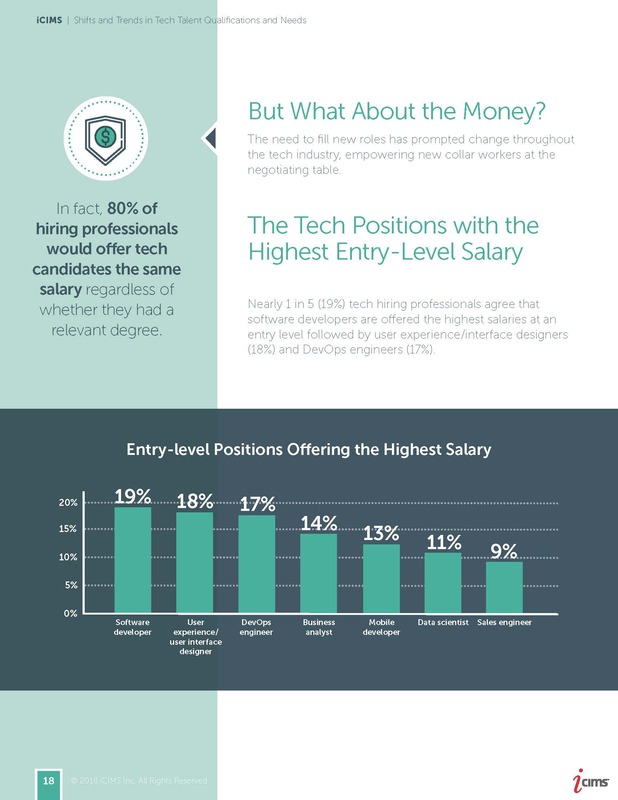 Eighty percent of hiring professionals would offer tech candidates the same salary regardless of whether they had a relevant degree. 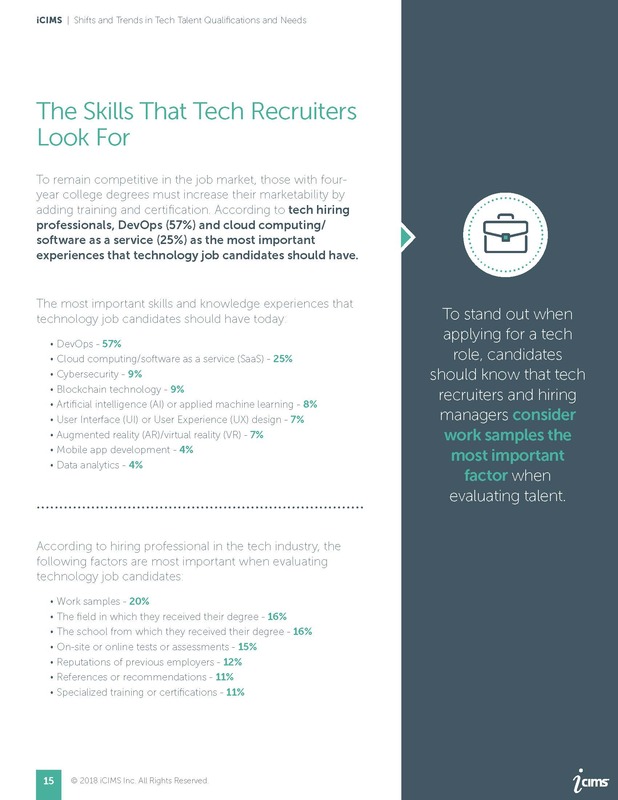 DevOps and cloud computing/software as a service are the most important experiences that technology job candidates should have. 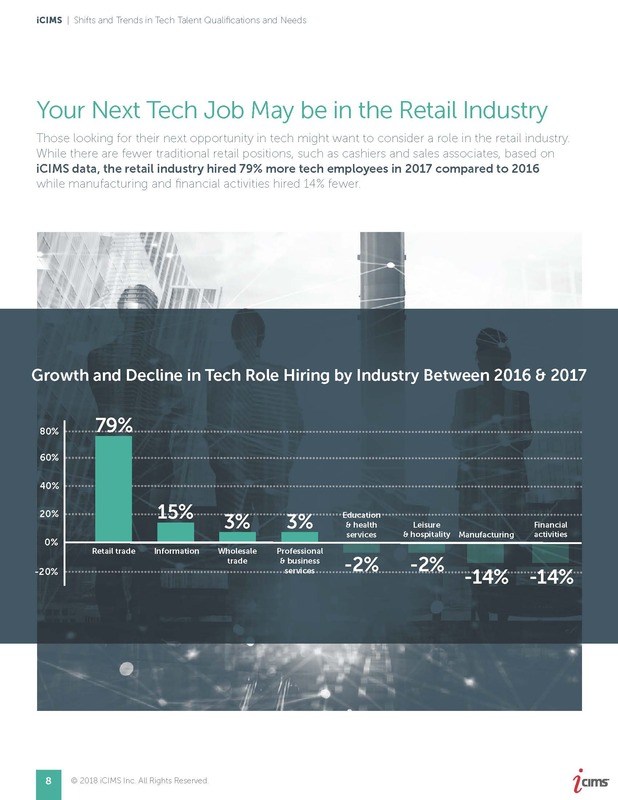 The retail industry hired 79 percent more tech employees in 2017 compared to 2016 while manufacturing and financial activities hired 14 percent fewer. 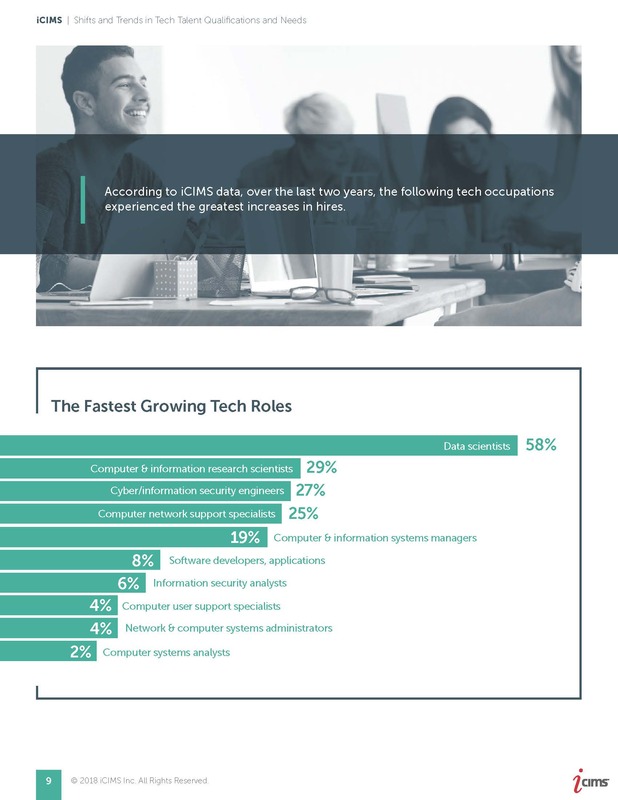 Over the last two years, data scientist and computer/information research scientist roles saw the greatest increases in hires. 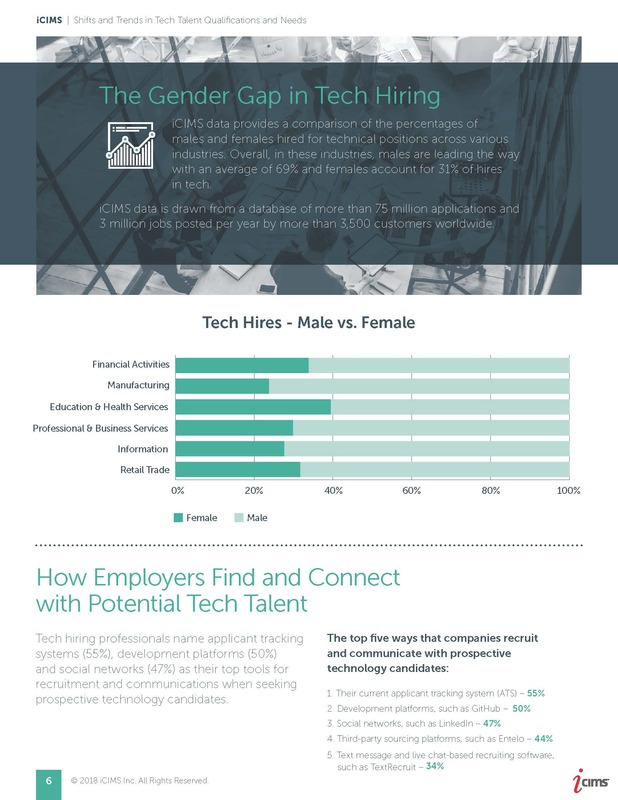 Sixty-nine percent of tech hires across various industries were male while 31 percent were women.